I’ve hit level 10 Sculpting and made hundreds of sculptures and I’ve still not unlocked all of the furniture options. I’ve come to realise that it is either impossible or, at least, statistically difficult. Before I continue, a quick note on special sculptures. With 85 options, it’s difficult enough to roll a 1/85 to get an unlock, assuming that there’s an even chance for every object (which is not the case). I figure: You have to unlock them as you level. 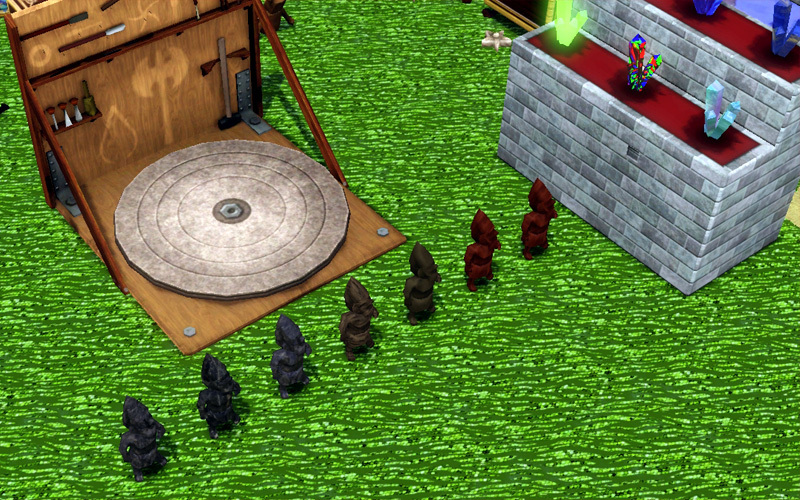 You need the Savvy Sculptor trait. You want to keep your leveling slow, so that means no learning moodlets and as low a mood as you can manage. 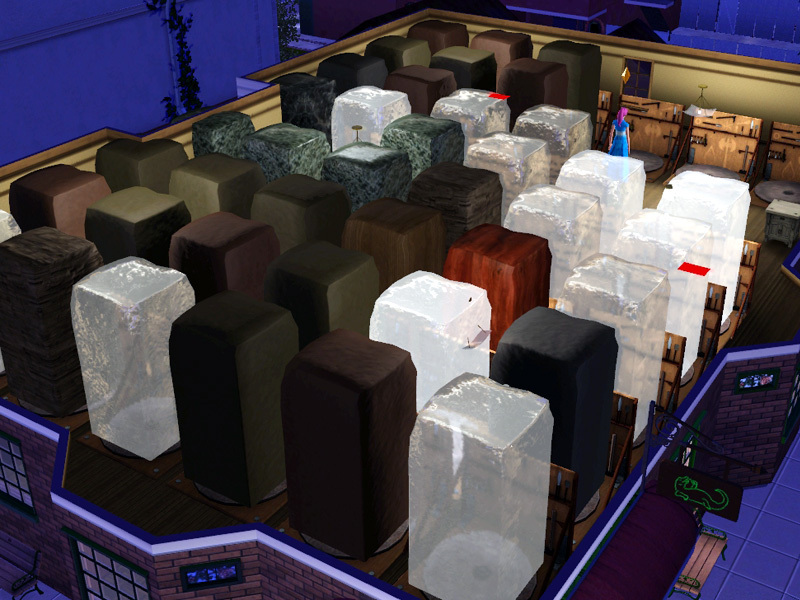 Keep your leveling for unlocks and do not make ice sims, Specific Sculptures or Metal/Topiary until you’ve reached level 10. 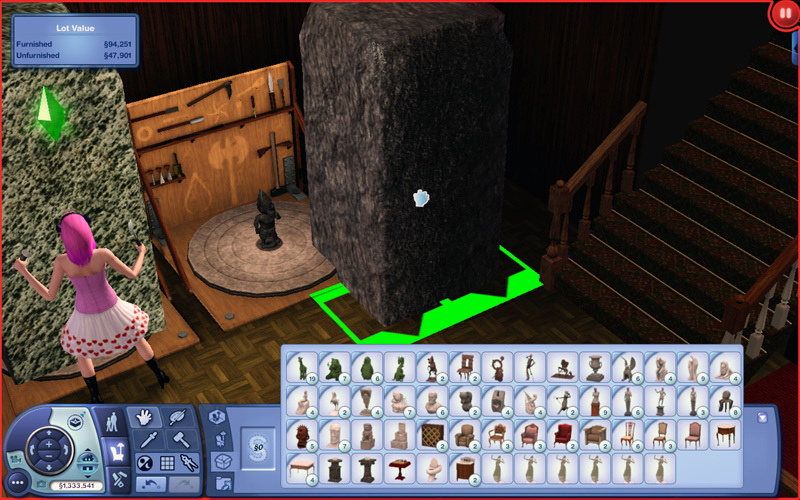 Use the moveobjects on cheat to view the sculpture as soon as the big block is created. Be careful not to place the big block, however – it cannot be deleted, not even with testingcheatsenabled true. Cancel action as soon as the big block is created. Peek beneath to see what you’re sculpting. Move the big block and Undo (ctl-z) it back into place. Scrap if it’s something you already know. Make sure you have enough space because you will not be able to complete sculptures (leave the uncompleted sculptures to finish when you’ve unlocked them all). You will have to save-reload a lot. I made this list to make sure I got everything at the appropriate level. Objects in (brackets) have better versions at higher levels, so I skip these. Objects in italics require the Savvy Sculptor trait. Just a Kitten The Clothing Hamper by Full Load Inc.
Leave the uncompleted sculptures to finish when you’ve unlocked them all.